London 27th November 2015: The ICCO Global Awards 2015 saw leading agencies, and individuals from across 6 continents win accolades for effectiveness in PR and communications. Leading PR practitioners from across the globe attended the ICCO Global Awards 2015 at the Park Plaza Hotel, Riverbank on the evening of Thursday 26th November, hosted by BBC personality Helen Fospero. Top consultancies, individuals, and in-house teams all competed for awards in 18 categories. The winners for Independent Consultancy of Year include: Interel Group for the EMEA region, Avian Media for the APAC region and Imagem Corporativa in the Americas. Christopher Onderstall of FleishmanHillard won the award for Rising Star of the Year while Nitin Mantri of Avian Media was awarded PR Leader of the Year. Ketchum walked away with the award for Regional Network of the Year in the Americas, Weber Shandwick in APAC and TRACCS in EMEA. The International Communications Consultancy Organisation (ICCO) is the voice of public relations consultancies around the world. 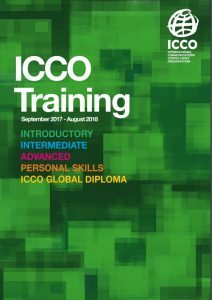 The ICCO membership comprises national trade associations in 32 countries across the globe in Europe, Africa, Asia, the Americas and Australia. Collectively, these associations represent some 2,500 PR firms. © All rights reserved. ICCO Summit.